Aljamea-tus-Saifiyah, the Arabic Academy, Karachi, a institution inaugurated in 1983, is on the pattern of, and benefited by the experience of now more than two centuries old academy Aljamea-tus-Saifiyah, Surat, India.The Surat Academy, one of the oldest center of Arabic and Islamic Studies in the subcontinent of Far East, in turn, was a sapling of the thousand years old Fatemi academic and educational system practiced in North Africa and more particularly mirrored at Al-Azhar and Dar-ul-Ulum of Al-Qahirah. So, though young in years, the Academy at Karachi, like its counterpart at Surat, can claim to be mellowed in spirit being heirs to the rich thousand years old Fatemi legacy of education and upbringing. Dr. Syedna Mohammed Burhanuddin, the patron and the spirit of this academy, laid its foundation in 1969. 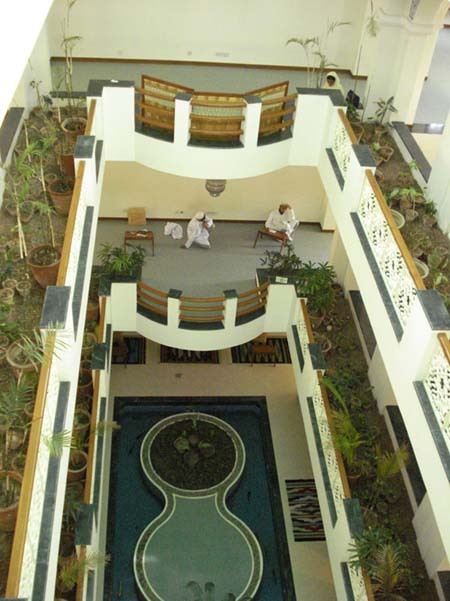 Under his guidance and inspiration, Dr. Y. Najmuddin, the late Rector of this Academy, endeavored very exhaustively and hard to raise the academy to the level which is now well known and appreciated by the scholars and eminent persons of the world who visited the Academy and looked into its curriculum, way of teaching and the facilities provided. The Academy is well equipped with modern technology and equipments to facilitate, improve, speed up and make effective the acquisition of knowledge and skills. Every subject of value in modern education receives attention side by side with core subjects of traditional value. The Academy is situated in North of Karachi, a well planned area with wide roads, beautiful bungalows, shopping centers and community centres. 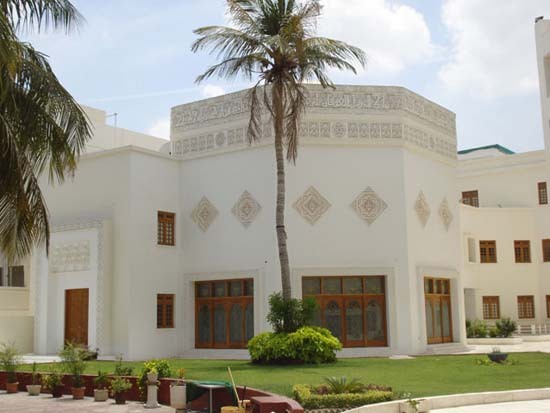 Aljamea is a huge and beautiful complex and has a campus congenial to academic, cultural and social activities. 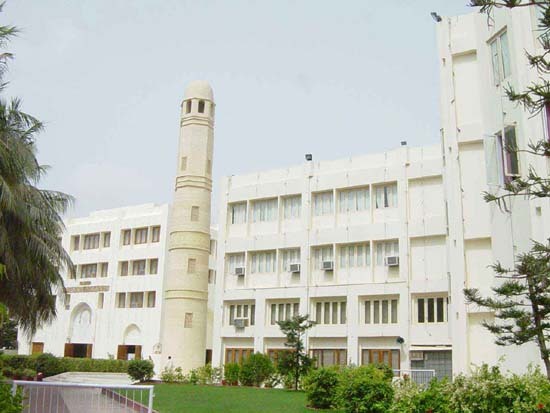 All the buildings within the campus – the Masjid, the Ewan, the teaching block, the library, the Masaakin – face the Holy Kaaba, the Qiblah of Muslims the world over, signifying that a Muslim’s every action would become worship of Allah, provided his gaze of mind is turned to the Qiblah and his eyes are directed to the point of Sajdah. One of the unique features of the campus is the “quraanic garden”. Here are planted those fruits which are mentioned in Al-Quraan. Some books about the fruits and vegetables, mentioned in Al-Quraan, may be found. But it is for the first time in the history of Islam that a concept of “quraanic garden” appeared in physical form. The Rector, inspired by Dr. Syedna Mohammed Burhanuddin, introduced this unique concept.Here grapes, olive, palm etc. are planted. Here two verses from Al-Quraan are quoted , which refer to some of the fruits planted here. Olive trees are not found in Pakistan due to unsuitable soil for it here. But the plantation of it in this Academy is in fact a transplantation, as special arrangements for suitable soil were carried out. The activities included in its training and upbringing programme of its student community, right from the secondary level of education, are so designed as to teach its student how he should live his personal life, academic life and social life. Aljamea applies the practical philosophy and methodology of Islam for the enrichment and fulfillment the composite life.Overcoming his shortcomings and correcting his mistakes, as he develops, he learns the positive virtues, qualities and capacities, and enhances them, through discipline, so as to allow the individual personality to flower and bloom. The wealth of any university is centered in the power of thought and the character of its children. The library is the soul that draws the power and helps in the effective growth. 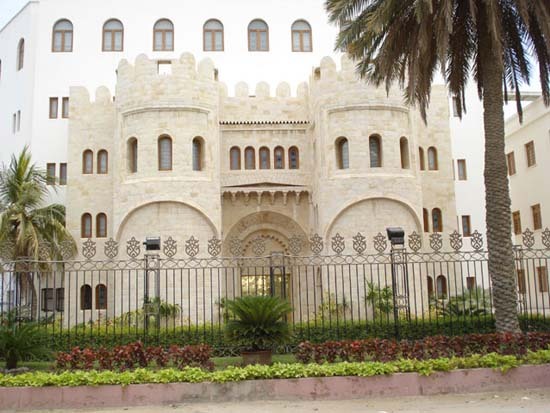 Aljamea-tus-Saifiyah takes great care of its library and tries to make it rich by acquisition of publications of the world of science, literature and art in different languages, and provides its reading room with journals, magazines and annuals. The library comprises of three floors. It is well known in Pakistan and other parts of Islamic world. Maulana Ali (A.S.) said, “Al-Quraan is best of all things”. The teaching and training in Jamea are based on Al-Quraan Al-Majeed. The department of “Maahad-uz-Zahra” is specially established by Syedna Mohammed Burhanuddin for the teaching of Al-Quraan. Here, most sophisticated equipments and suitable environment are provided for those who memorise Al-Quraan by heart. The final degree of Aljamea-tus-Saifiyah, “Al-faqeeh Al-Jayyid”, is recognized by various universities and academies. Some of them are Al-Azhar University of Cairo, University of Karachi Pakistan, Muslim Aligarh University etc. This academy is also a member of International Baccalaureatr Organization (IBO). Every year, some students of Jamea appear for the subjects of Arabic, English, Science, Geography, Mathematics, Economics etc. Slowed down camera – 80x slower!